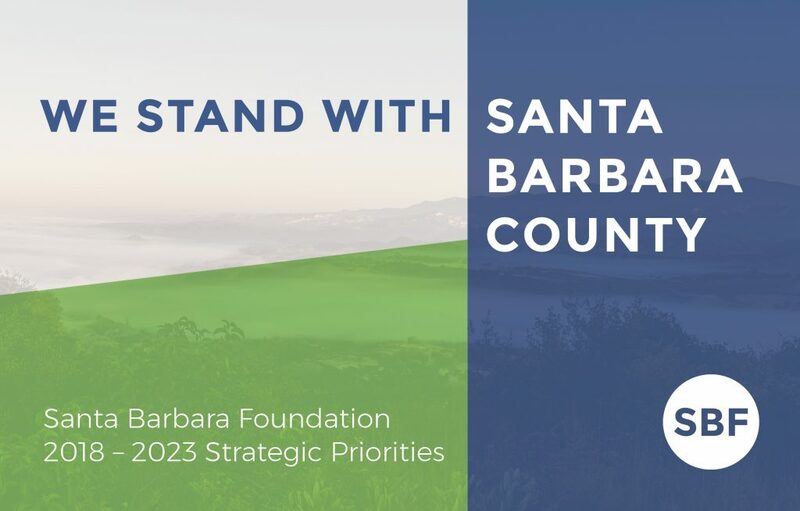 We Stand With Santa Barbara County. 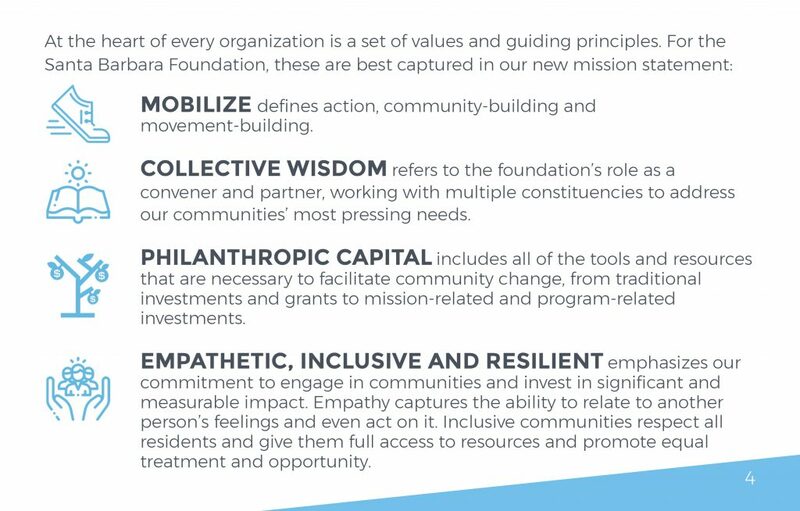 In 2017, we asked community members and nonprofit leaders how we can #dobetter as a community. 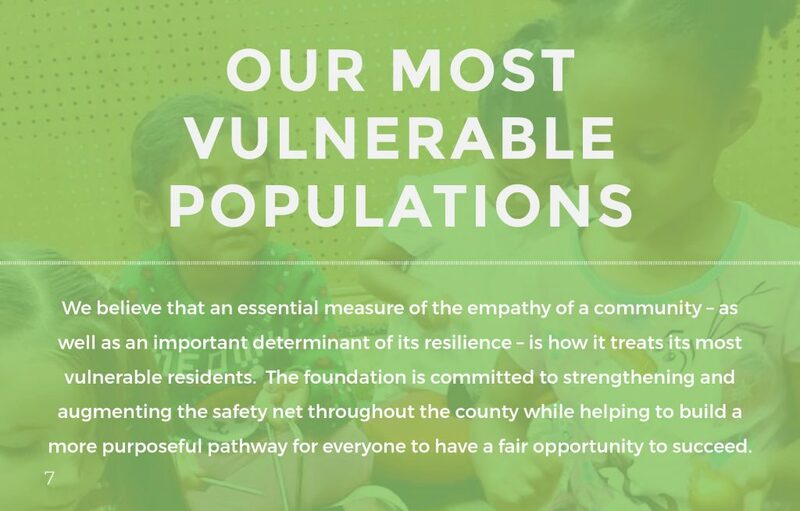 What we heard was that members of our communities are struggling. 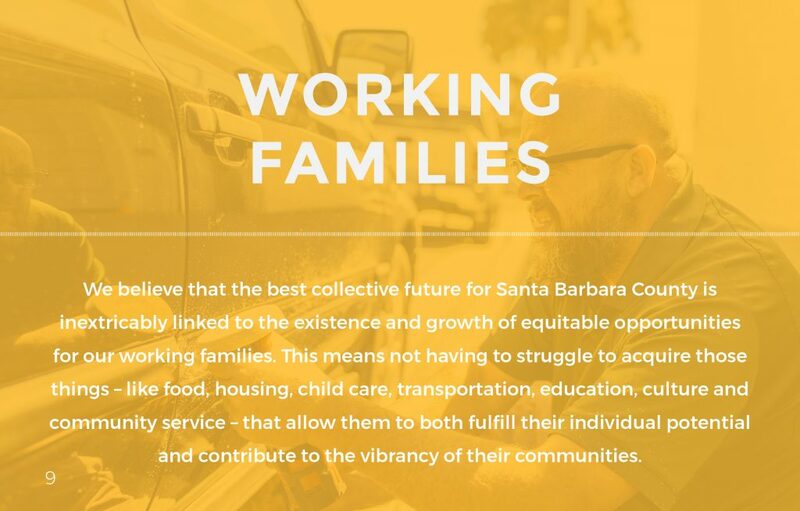 We heard calls for more support of working families and our most vulnerable populations in Santa Barbara County. 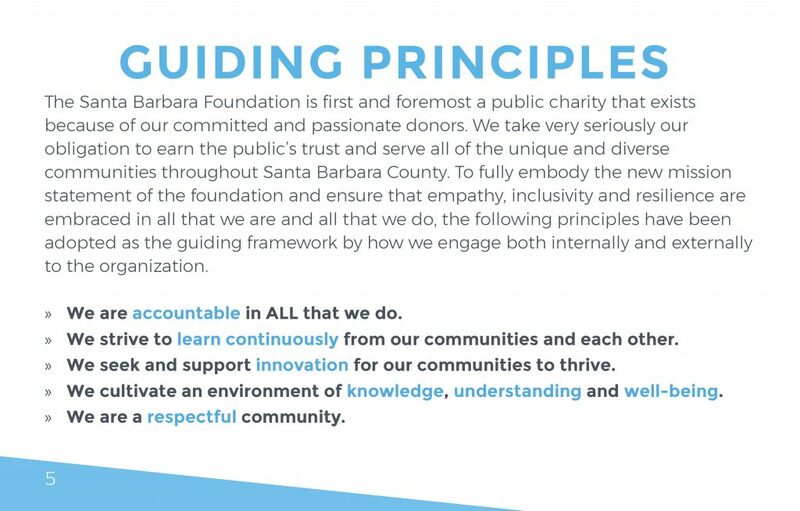 We heard that there was a desire for more discussion and collaboration regarding the most important issues in our county. 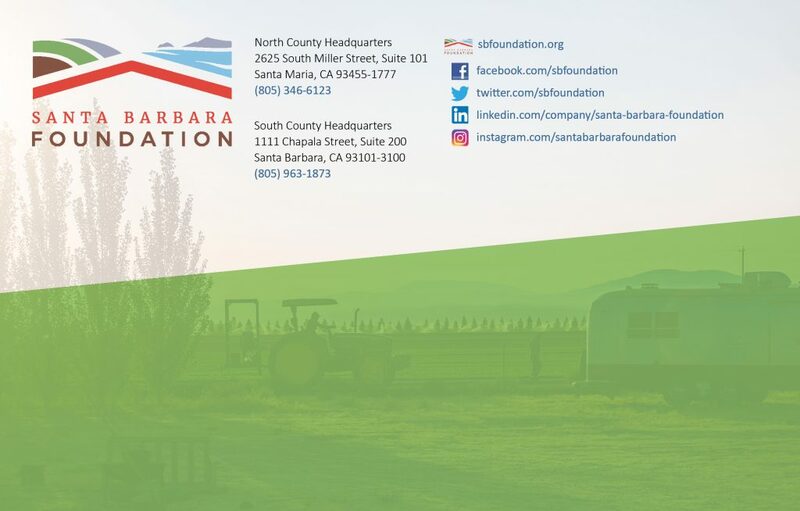 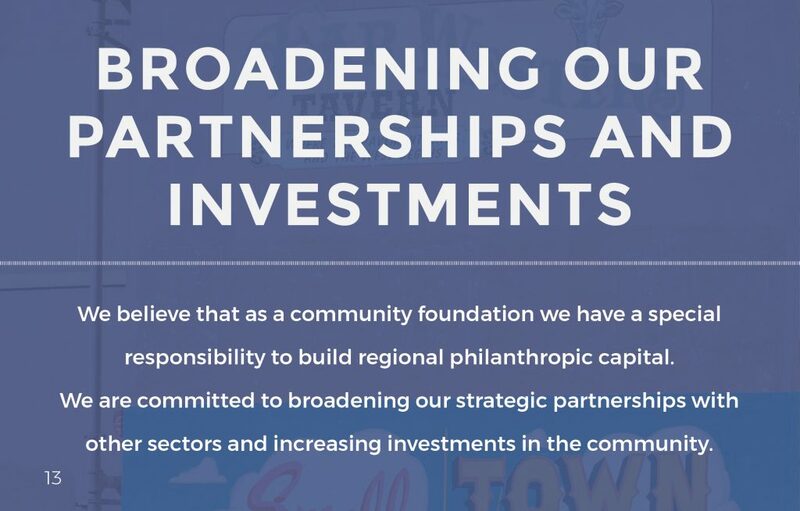 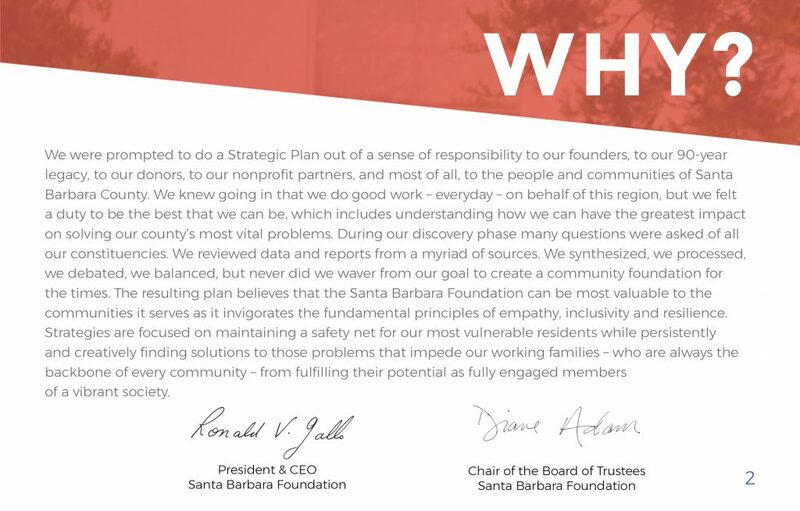 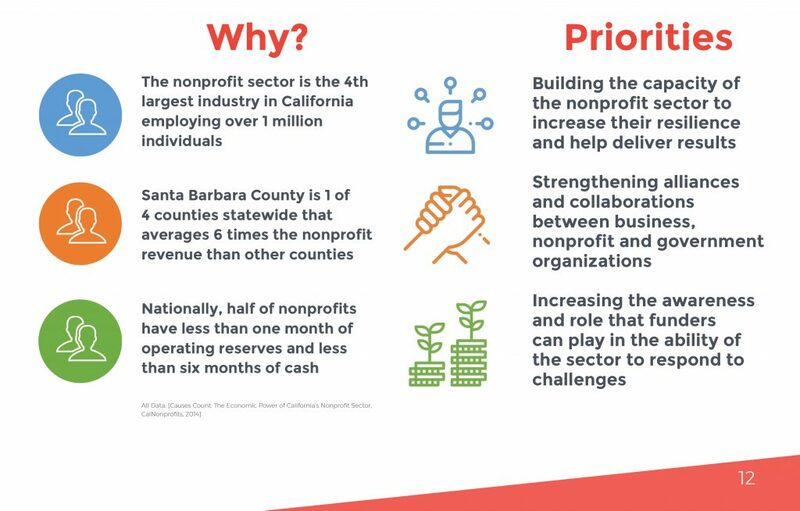 After learning from Santa Barbara County residents and undergoing an extensive research and evaluation process, the Santa Barbara Foundation recently announced its new Strategic Priorities. 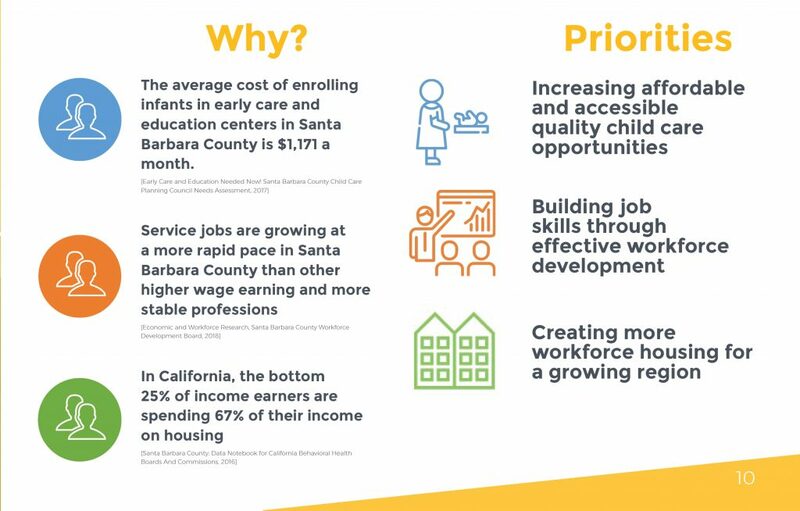 With these new priorities, we are committed to creating more opportunities to help working families thrive. 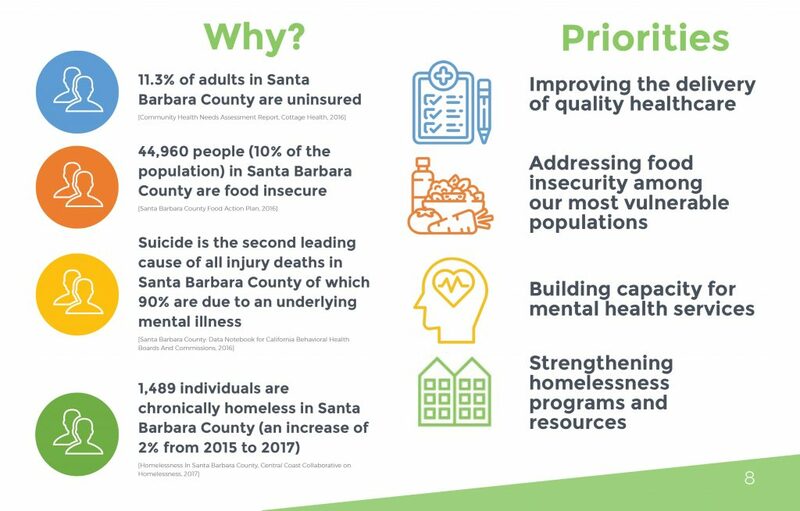 We are focused on maintaining a safety net for those in our communities who are in most need of support – that means improving access to quality healthcare and mental health services, addressing food insecurity, and strengthening homelessness programs and resources. 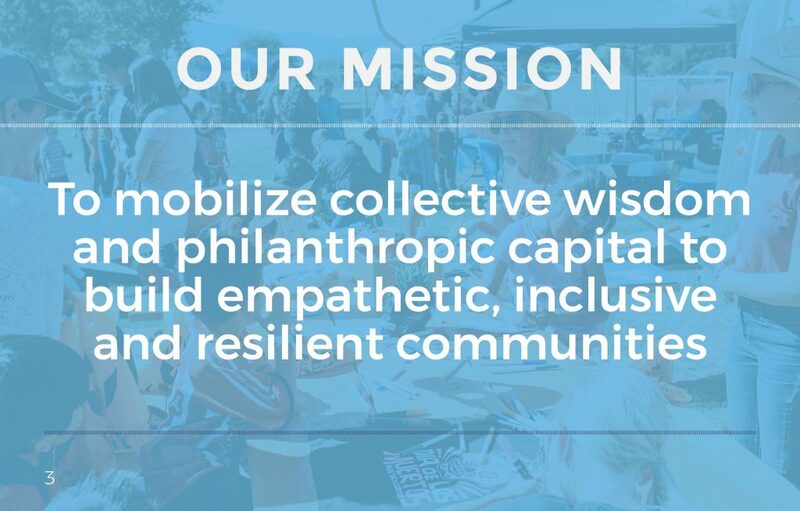 Stand with us, and together we can improve lives. 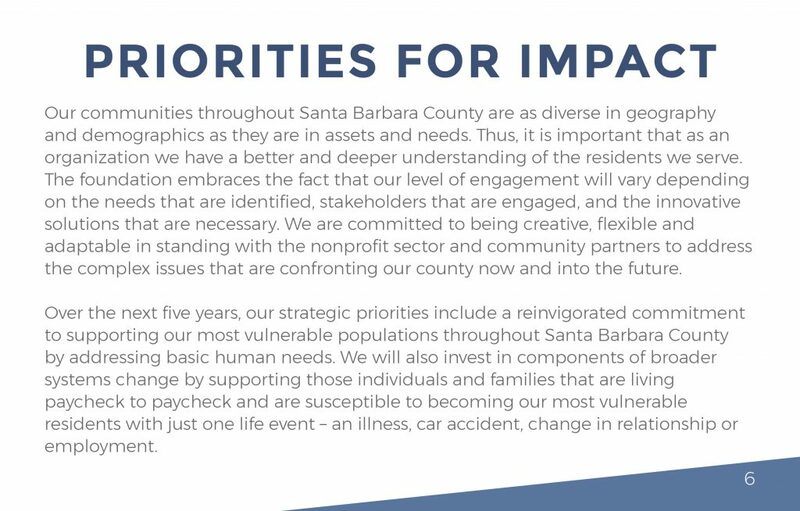 View our new five-year strategic priorities below. 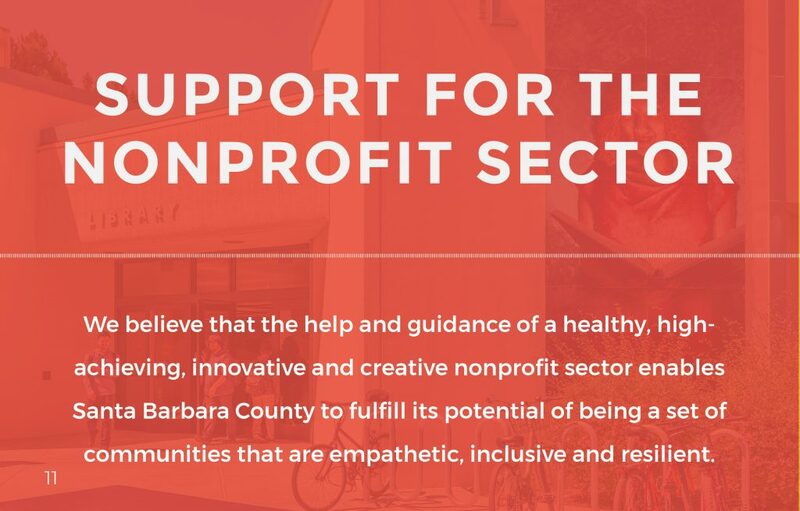 Together, we can improve lives in Santa Barbara County.